The Tuli elephants, originally from across the Limpopo River are now considered wandering residents. Farmhouse now available through Airbnb. 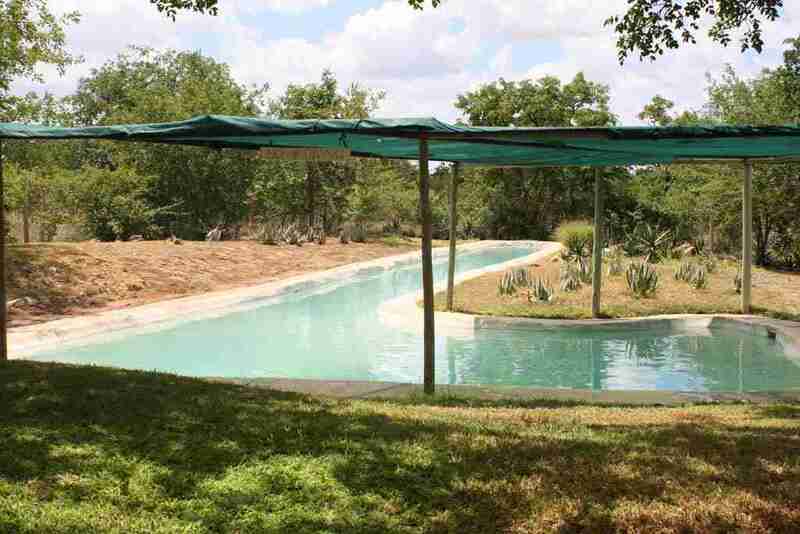 Please remember that this is a self-cater bush camp! 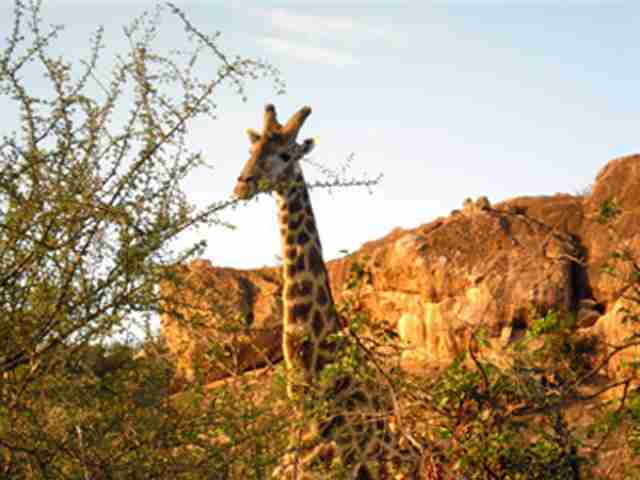 Enjoy the view of the Limpopo Valley as you look out at the rocks and Baobab trees. 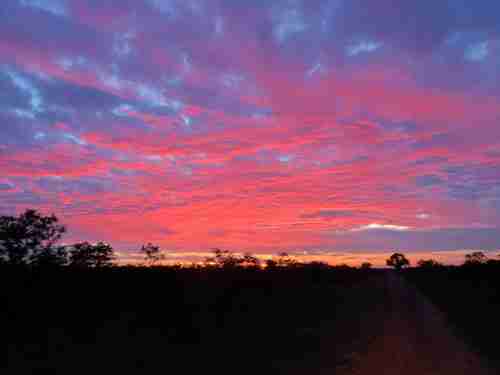 The area (Limpopo Valley) is an ancient, arid (dry) unspoilt part of Africa. 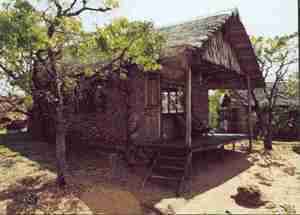 Kaoxa Bush Camp is in the Limpopo-Shashi confluence area near the boundaries of Botswana, Zimbabwe and South Africa. The Limpopo Valley is known for its majestic Baobab trees. 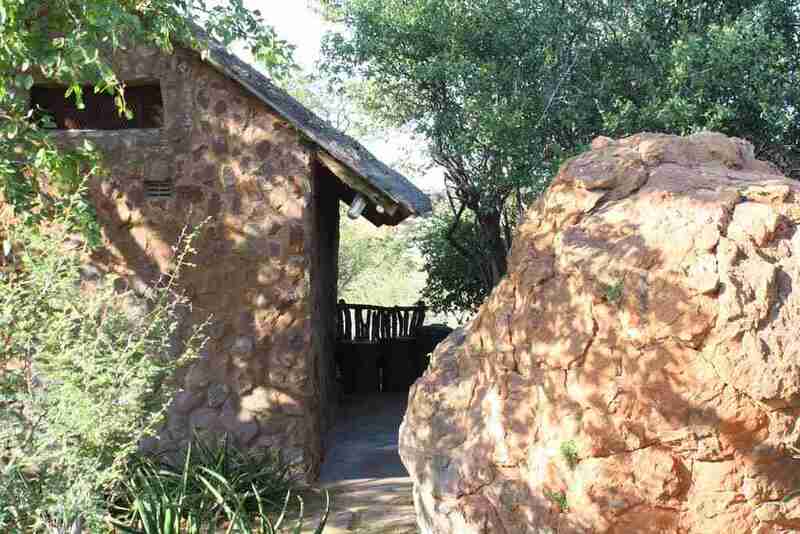 Kaoxa Bush Camp comprises 3 intimate cottages built with stone and thatch and 3 Safari tents, all with en-suite bathrooms. They open onto your personal deck overlooking an extraordinary vista. Information displayed in the camp about the inhabitants of the bushveld, and remains from the Bushman culture will enrich your stay with us. The new Mapungubwe National Park is also on our doorstep just a 10-minute drive to the main entrance. 30th December 2017: No frills, peace and quiet in a wildlife environment. 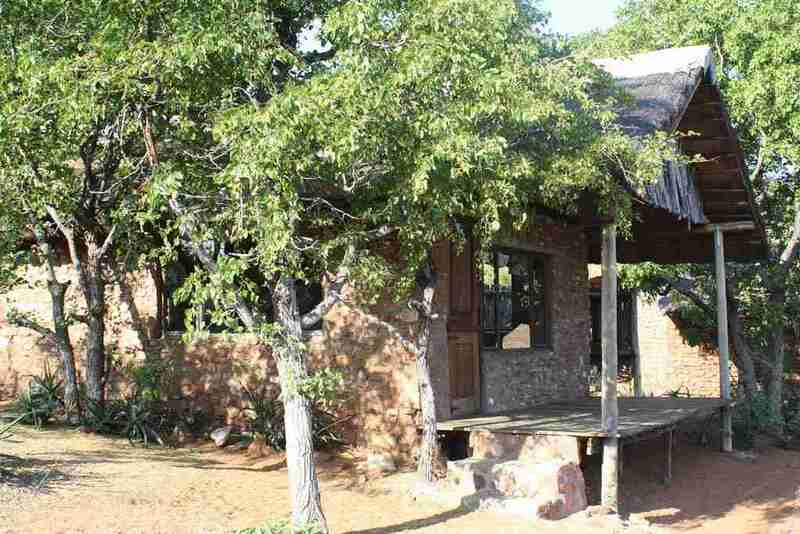 Well located close to the Mapungubwe National Park. The quiet and peaceful atmosphere. Pool helped on an extremely hot day. Shared facilities encourage meeting people. Well equipped communal kitchen. 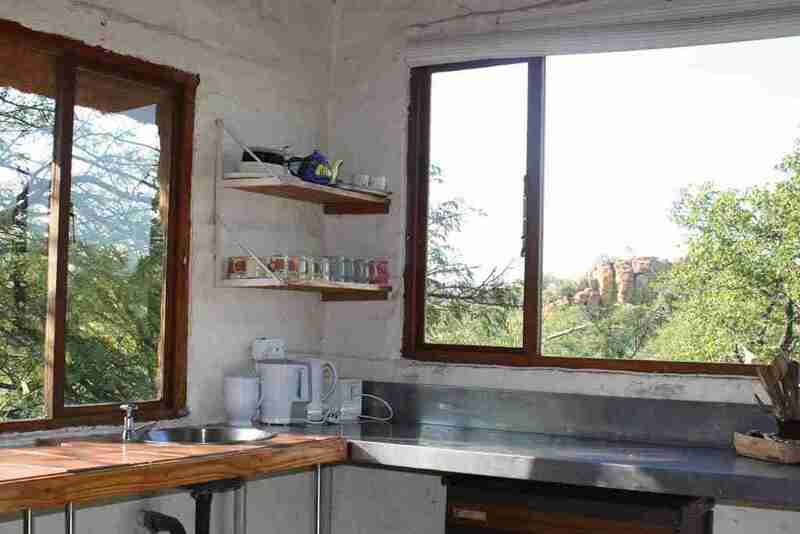 This place is amazing, great location with spectacular views, very comfortable lodge with everything you need (kitchen, fridge, all the utensils available). The worst thing about our stay is that we booked it only for 2 nights! Jay Skyhawk March 2015. We had an awesome time. The camp was beautiful, loved the swimming pool (practically lived in it) the boma and kitchen were great and the staff helpful. We saw 130 bird species in 2 days. We loved your very special Rock Art. Had a lovely time and will definitely be back! Jan van Rensburg, South Africa 17/06/ 2014 – A most memorable experience! Super friendly staff, beautiful scenery, wonderful sunsets and peace and quiet. 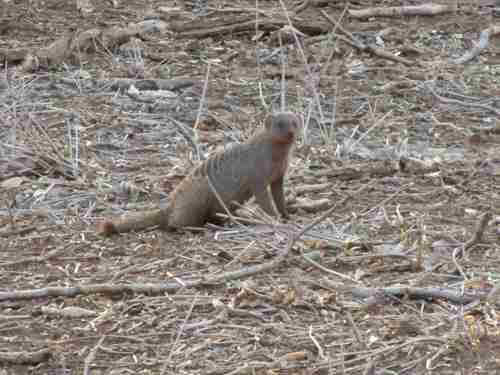 We will definitely be back, seeing that Mapungubwe National Park is also situated so close to Kaoxa. 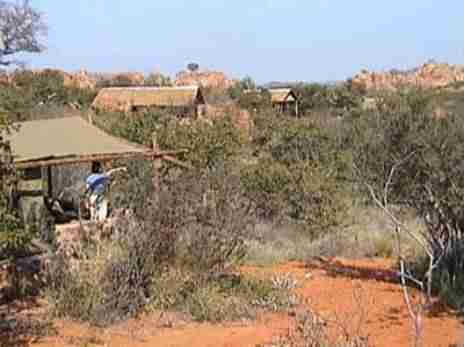 Your views and especially the lookout over the Limpopo valley with convenient benches to relax on, was divine. The only negative point was that it was over so quickly and we had to return to the daily grind! Thank you Jabulani and Julia for your hospitality! Romy Mason, South Africa – 13/08/2012- A wonderful stay at Kaoxa Bush Camp, chalets are very rustic but it adds to the whole outdoor experience. Next time we will book for longer than 1 night! The view was breathtaking! We have no special offers at the moment please check back for updates! This website application was designed and created by Interactive Monkey Ltd.
© Copyright 2013 Kaoxa Bush Camp - Website Created by Interactive Monkey Ltd.